In the light of rampant child marriages and related suffering of women in India, British India debated ‘Age of Consent Bill’ in 1880s when an 11-year-old Bengali girl, Phulmani, died after her husband had brutally raped her. Since then, India has crossed many milestones: getting independence, its own constitution, and emerging as one of top five economic powerhouses in the world. But, it is still not able to get rid of a regressive practice of this kind. Around 27 per cent or nearly 1.5 million girls in the country get married before they turn 18, the legal age to marry in India. Even in those days, Phulmani’s death disturbed many, and at least 500 women doctors sent a memorandum to the then Viceroy and requested him to stop child marriage. Remember, this was nineteenth century. Now, we are in 21st century when a policy maker from ruling party propagates child marriage as a solution for all evils in the society. Should we not demonstrate that same intensity and write to our Prime Minister when his party member advocates ideas like child marriage? India has seen policy makers making absurd comments on society, especially in the last few years. Whether it is the newly appointed Tripura chief minister Biplab Kumar Deb who claimed that the satellite and mobile technology existed during the times of Mahabharata, or the Minister of State for Human Resource and Development (HRD) Satyapal Singh who found Charles Darwin’s theory of human evolution ‘wrong’ because no one has seen monkey turning to human being, there is a series of anti-science remarks that attempted to sideline science and eulogise mythological past. While these absurd remarks may not have a grave impact on the status quo, but an attempt at glorifying a social evil like child marriage has the potential to push India back to 19th century. Speaking during a government event in Agar town of Madhya Pradesh, the local BJP MLA Gopal Parmar said that child marriage is the solution to many problems like ‘love jihad’, elopement and divorce. He has gone to the extent of saying that he himself married as a child and fixed the marriages of his three children before they reached the legal age. Relation between divorce, elopement and so-called ‘love jihad’ with late marriages is yet to be proved, but it has been established on number of occasions that child marriage is evil and cause layered problems for women. In the same decade when Phulmani lost her life, a Parsee reformer named Behramji Malabari circulated notes highlighting the evils of child marriage. J Gibbs, an American scientist, had added to it saying that young mothers become stunted due to early marriage and having babies at a tender age. He also added that babies also fail to get proper growth. He was correct. In India, 27 per cent girls still fall prey to child marriages, 16 per cent become mother before attaining legal age of marriage and more than 53 per cent women are anemic. This is the data of National Family Health Survey (NFHS) that appeared in 2016. What is worse is how these policy makers ignore facts and whip up hypothetical fear. 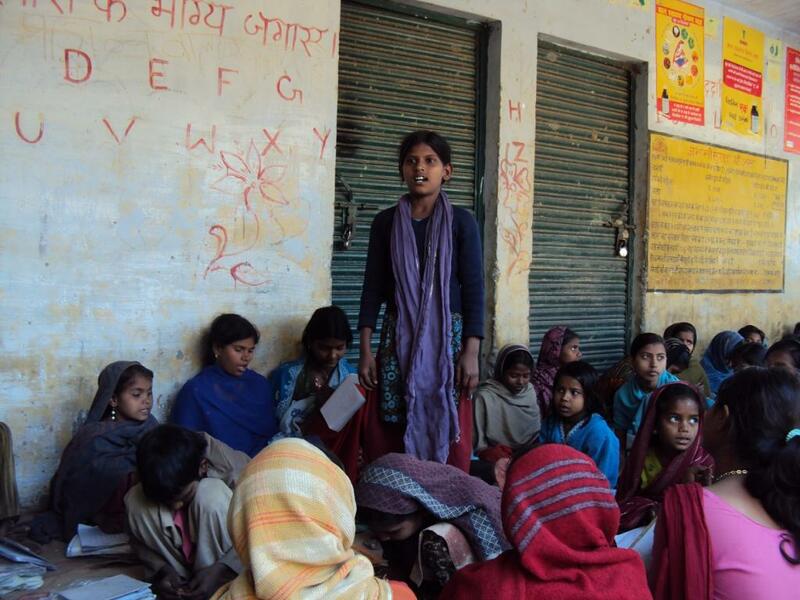 Recently, a report published by National Commission for Protection of Child Rights (NCPCR) says that in India, 39.4 per cent of adolescent girls in the age group of 15-18 years are not attending any educational institution. We are discussing these things when PM Modi runs a pet programme Beti Bachao Beti Padhao.